More and more websites today are starting to move away from strictly using content to adding podcasts or videos to their site in order to provide information in a more entertaining way. While videos and audio files can be easily shared to help sites go viral, and since they attract a large audience, it seems as if they’re the best choice for your website instead of paragraphs and paragraphs of content. And this is somewhat true; SITE123 wrote that videos are specifically crucial to demystify something complicated. The only problem with video and audio files is their lack of assistance when it comes to your site’s search engine optimization (SEO). Search engine crawlers cannot scan through your audio and video files, which means that any keywords you use in your files will not be seen by the search engines and will not help your overall ranking. Instead, it’s more important for you to add readable content to your audio and video files, whether in the form of captions or complete audio transcriptions. 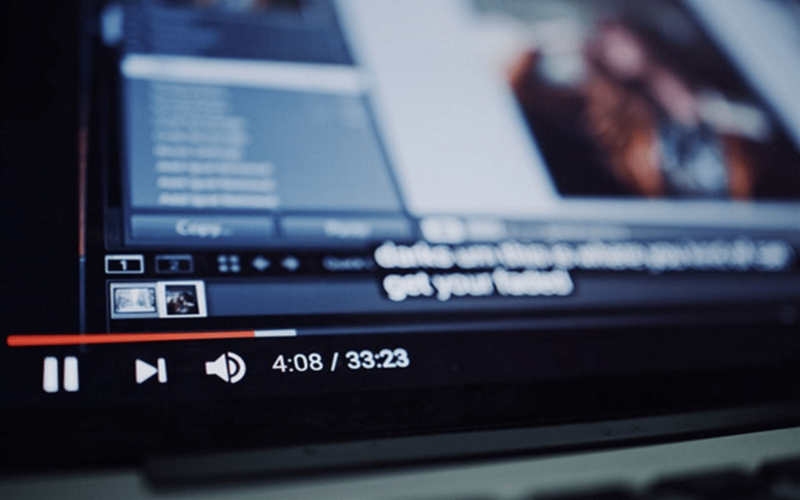 Captions and transcriptions will both benefit your audio and video files, but if you truly had to make a choice between them, which one is the best option to help boost your video SEO? Captions are a great way to provide snippets of content for your audience and the search engines. Captions typically contain small chunks of information that provide a summary of the content found in the audio or video file, allowing users to determine if they truly want to spend the time listening to the content or watching the video. One of Dermatology Clinic uses Caption Text along with their PODCAST. Captions can help to boost your SEO by providing keywords related to the video or audio file on the same page as the file, giving the search engines content to actually crawl through and use to rank your page more appropriately. Because of the content found in your caption, search engines will be able to place your page in a search engine results page (SERP) when queries are performed using your keywords. Because captions tend to be shorter in length, writing a caption is something that you can easily do yourself, which means that the caption can be added at the same time as the video or audio file, giving it more time to marinate online and attract the search engines. Plus, because it’s so short, you can easily change the content of the caption regularly, which can also attract the search engines and keep them coming back to your site. Transcripts can provide a verbatim copy of the content used in your audio and visual file, and if you place a transcript on your website, you can help boost your SEO. Because transcripts are longer in length than a caption, they contain more keywords, which can help rank your page more appropriately for more keywords than you would find in a caption, giving your website more reach. Transcripts can help you reach a wider audience, which can help to increase web traffic and improve your overall SEO. Because transcripts are longer, it’s recommended to place them on a separate page of your website in order to ensure you have strong content density. If you do this, you’ll still want to place content on the page with your audio or video file, which means you may end up needing to use a caption as well as a transcript. Also, because transcripts tend to provide a verbatim copy of the file’s content, it’s not something you can change out regularly unless you continue to add new video and new transcripts to your site. One of the biggest benefits of transcripts is that it can do more than just help your SEO. Because transcripts provide real content from your audio or video files, it makes your site more accessible to individuals who may be hearing impaired. Since these people cannot benefit from hearing your audio or video content, they’ll be more attracted to reading the content on your site. Having an accessible website can also help to boost your SEO by increasing traffic. So which should I choose: captions or transcripts? When it comes to your sites SEO success, it’s in your best interest to use a combination of both captions and transcripts. Captions ensure that content can be found on the same page of your file, which will draw traffic to that specific page. Plus, you can change the content out, which helps to attract the search engines. Transcribing audio and video content can provide you with more keywords and more keyword density, which can also boost your SEO. This goes to show that you’ll find more SEO success for your audio or video files if you use them both together.